4 pcs. Thyme ~4 pcs. 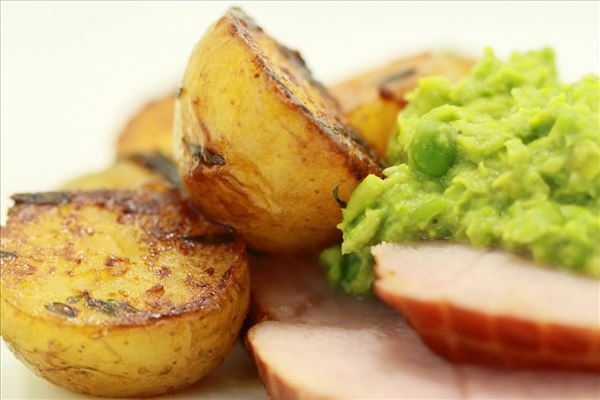 Lovely everyday dish with a twist. Chop the onion, 2 cloves of garlic and carrot into small pieces. 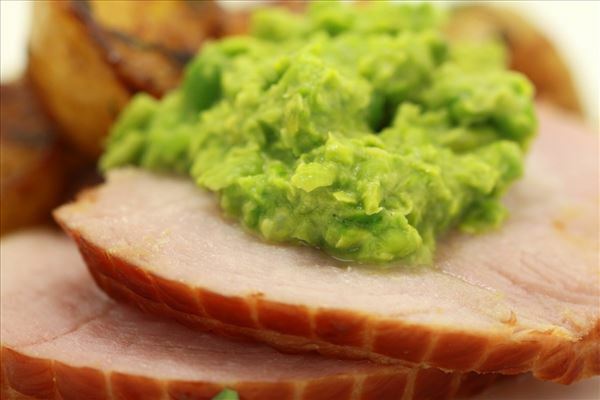 Place the ham in a pan with the carrots, onion and garlic. Add water to cover the ham, cover and cook over medium heat for 30 mins. Leave the ham to infuse in the soup for a further 30 mins. Cook the potatoes until almost tender. Drain well. Fry in a hot frying pan in rapeseed oil and add the honey, mustard and thyme, torn into pieces. Fry until almost glazed. Heat the peas and crushed garlic in the butter in a pan. The peas should not be allowed to boil, just heat through. Remove from the heat and blend with crème fraîche, a little salt and lemon juice using a hand blender´. 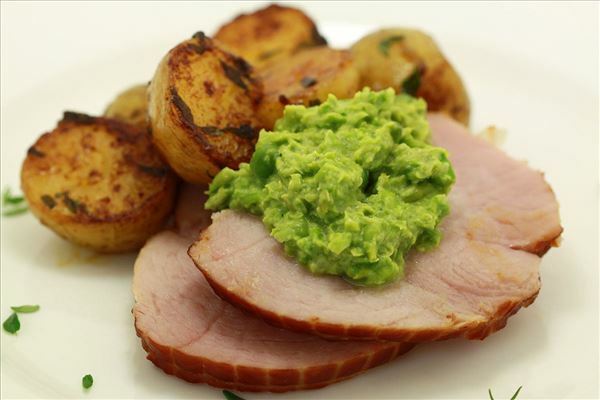 Serve slices of the warm ham with the potatoes and pea purée. The dish is also lovely served cold for lunch the next day. Powered By Scale Soft Version 1.3.3.0, 0.38 s.